Tour operator, Airedale Tours, has launched its latest brochure which includes details on its new tours for this year and 2020. The new brochure features 47 new tour ideas which are suitable for groups as well as its already existing offering throughout the UK. Also included in the selection are a number of rail holidays both in Britain and Europe, plus flight holidays to Krakow, Andalucia, Switzerland, Austria, Sardinia and even Transylvania. Commercial manager Rob Carroll commented: “Here at Airedale we’ve been tailoring group tours for nearly 35 years. Dunkirk & Operation Dynamo: This four-day trip includes half-board accommodation in Dunkirk and France’s Opal Coast. With tours of the sites of Operation Dynamo including movie sets, you will also visit the Dunkirk War Museum. The Big Five Mountain Railroad Adventure: This eight-day tour involves five different rail adventures, including Stanserhorn, the world’s first cable car, Pilatusbahn, the world’s steepest cog railway, Hammetschwandt Lift, the world’s highest outdoor lift, Titlis, the world’s first rotating gondola, and Rigibahn, the world’s first mountain railway. Transylvanian Treasures: This eight-day trip uncovers Bucharest and Transylvania’s cities, monasteries and castles. Visiting Bucharest, Sibiu, Sighisoara and Brasov, you’ll also take a trip to Dracula’s birthplace and Bran Castle. The brochure features plenty more details of new trips as well as existing favourites, such as Jewels of the Jurassic Coast which takes place over four days and takes groups to Weymouth and Dorset, visiting Dorchester, Shaftesbury, Chesil Beach and Abbotsbury Swannery. Group organisers can contact 01924 276135 or rob@airedaletours.co.uk for more details about the trips and the brochure. For more information, visit www.airedaletours.co.uk. 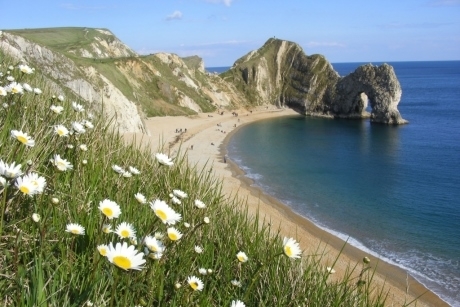 Main picture: Durdle Door in Dorset. Escorted touring specialist Collette has said it will no longer have a physical presence in the UK after April next year. Snow covered mountains, fairy-tale castles and Christmas markets are among the highlights of Albatross Travel’s new tours for 2019/20 in the UK and Europe.